Picture taken at Monticello Precinct, Albemarle County, Virginia on November 5, 1996 at 8 a.m.
PRESIDENT: Bill Clinton 1,271; Bob Dole 1,227; Ross Perot 152. SENATE: John Warner 1,388; Mark Warner 1,229. 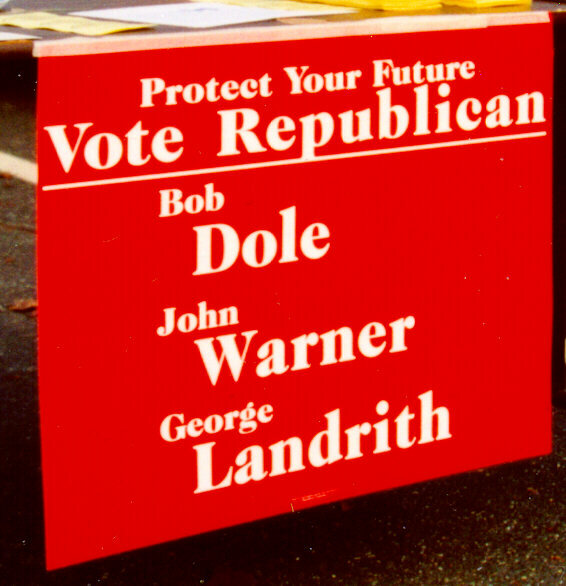 5th HOUSE: Virgil Goode 1,392; George Landrith 1,161; "Tex" Wood 101.